‘Libertarian paternalism’ is an oxymoron! I’m no defender of Sunstein, but note that Harvard Magazine doesn’t take instruction from the university’s administration as to what will be published. It would be better to address the specific bases of his arguments than to base yours on what you presume is the gestalt of the Social Sciences Dept. Clearly, if Sunstein is advocating for an enhanced deliberative process, he is prepared to entrust American voters with such capacities, and therefore Jung (and Hitler) are not relevant. His philosophy is continuous with historical research I have conducted and published on social psychologists allied with the New Deal. This puff piece on Sunstein is what political operatives call “battlespace preparation” — advance work to minimize the opposition when Obama nominates Sunstein to the Supreme Court. The networks here are conspicuous. This reporter is a Supreme Court reporter for the New York Times, and I believe he wrote another puff piece on Sunstein in The American Scholar a while ago. His wife is a federal judge appointed by Obama. Sunstein wrote puff pieces about Obama during his first campaign, and was rewarded with a high level administrative position in the Obama administration. 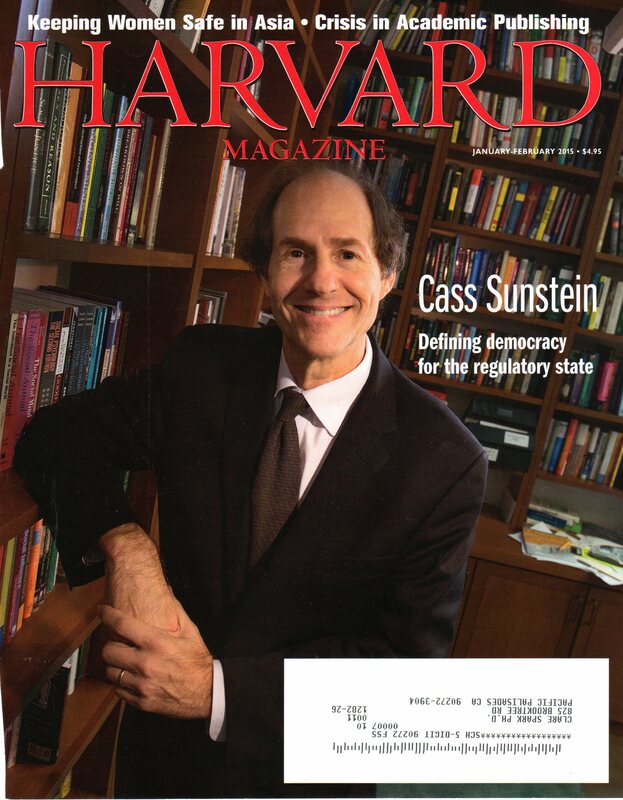 Sunstein’s wife, an aggressive anti-Hillary operative, is now Obama’s ambassador to the UN. It doesn’t get much more incestuous that this.